Jamestown School Superintendent Bret Apthorpe during the 2018-19 JPS Budget Hearing on Tuesday, May 8. JAMESTOWN – No one offered comments or questions Tuesday Night during the Jamestown School Board’s public hearing regarding the proposed 2018-19 budget. The hearing, which was held at Persell Middle School auditorium, provided details on the district’s proposed $86.23 million spending plan, which includes no tax increase and which was unanimously approved by the school board last month. District Finance Director Vern Connors went over the basis details of the spending plan as well as the two propositions that will also appear on the ballot. Attendance for the hearing was light and included mostly school staff members and the media, along with the school board. School superintendent Bret Apthorpe said he hoped the light attendance was due to the public having a good understanding of the proposed spending plan. The proposed budget has a few new positions added, but doesn’t include any major overhaul to programming. Instead, Apthorpe and his staff have said the proposed budget is intended to set the stage for bigger changes that will be coming in the 2019-2020 school year. 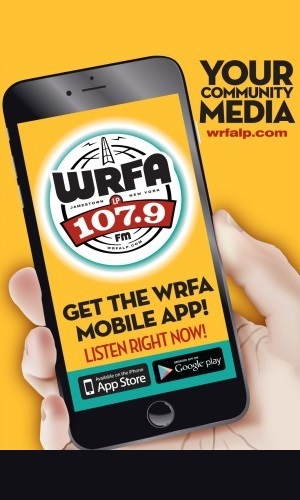 “We’ve worked conscientiously with the community to create three initiatives for the 2019-20 school year. One involves creating a Success Academy at the former Rogers school. Another involves a summer literacy program for all of our K through 4 students in the city. And lastly, modernizing our student programming at the high school to align with local labor needs,” Apthorpe said. Apthorpe also said the main goal of the 2018-19 budget is also to provide better financial stability, and that involves tackling some of the district’s debt. “What this budget is doing is taking a big swing at the debt service. The district pays $10.5 million a year to debt and that makes us very susceptible to fluctuations in aid because if aid lowers, we still owe that money. That’s how Jamestown was forced to lay off 100 positions in the past 10 years, so this budget takes a big swing at lowering our debt service,” Apthorpe said. 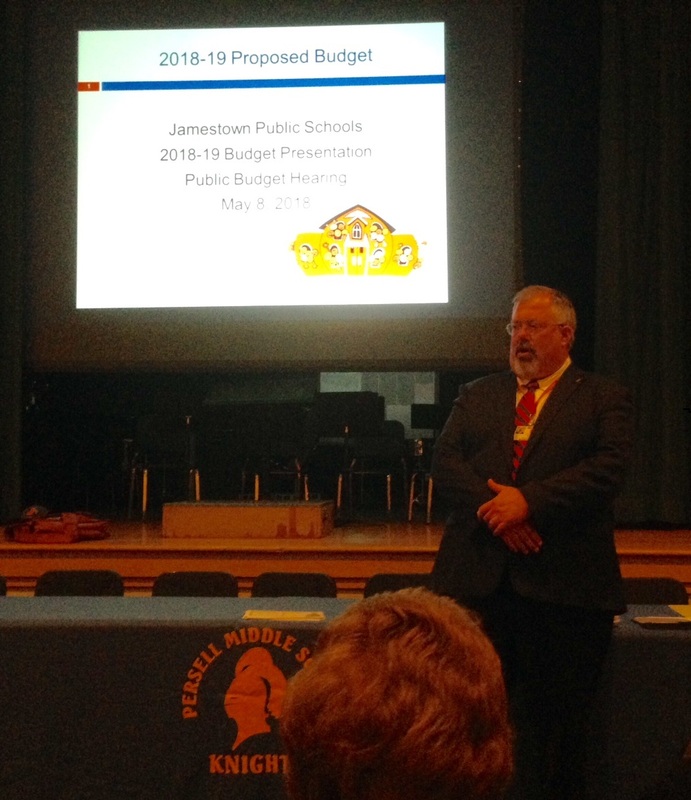 The Budget is available to the public at JamestownPublicSchools.org and hard copies are available in the Superintendent’s Office at 197 Martin Road, in each Jamestown school’s main office and at the James Prendergast Library.